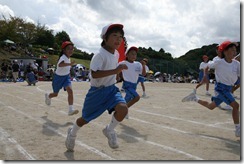 On Sunday, September 30th, Gyosei International Primary School held its annual Sports Day Competition. Though a typhoon was predicted, the weather was clear all day. Gyosei students from all grades competed in 20 different sports events over the course of the day while parents watched and cheered from the sidelines. Also in attendance were the following special guests – Hidehiro Kaneda / Imagine Japan (Minami), Masako Hori / Yokohama English (Pre-School) and both Nadaffne Mohamed & Najafi Satomi / Sumire Kids Academy. The Sports Day is not all about competing. It has become a Gyosei tradition to dance the Yassai Mossai to end the morning portion of the program. 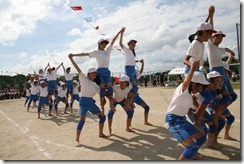 Both students and teachers danced the Yassai Mossai. Parents are also given a chance to dance. 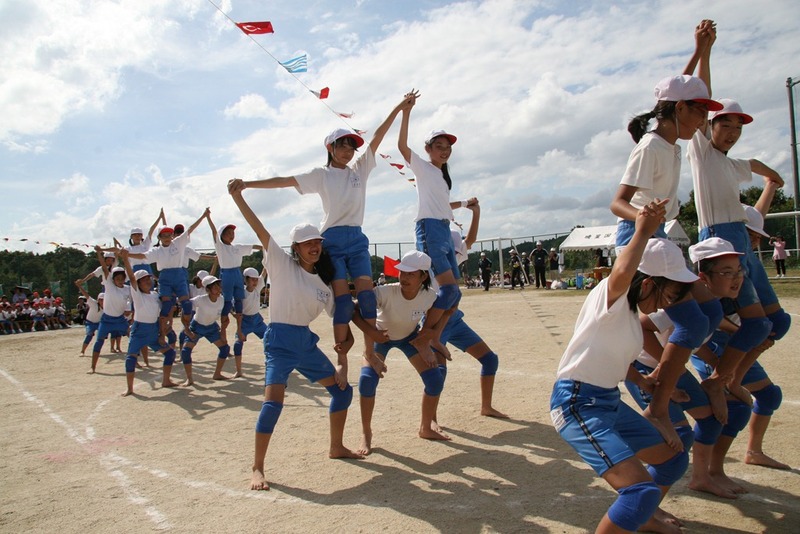 Many parents, even those who don’t live in Kisarazu participated and danced the Yassai Mossai with their kids. Students from the Primary School’s Music Club played instruments during the dance performance. In the end, the White Team won this year’s Sports Day with the final score of 690 – 652.